The Custodian of the Two Holy Mosques King Salman bin Abdulaziz Al Saud of Saudi Arabia, appointed two new ministers on Saturday to key security and economic posts, removing one of the royal family's most prominent members as head of the National Guard and boosting the Kingdom's Crown Prince. The cabinet reshuffle saw Prince Miteb bin Abdullah replaced as minister of the National Guard by Khaled bin Ayyaf, while Economy Minister Adel Fakieh was removed in favour of his deputy Mohammed Al Tuwaijri, according to a royal decree carried by state-run media. Prince Miteb was once thought to be a leading contender for the throne before the unexpected rise of Prince Mohammed two years ago. 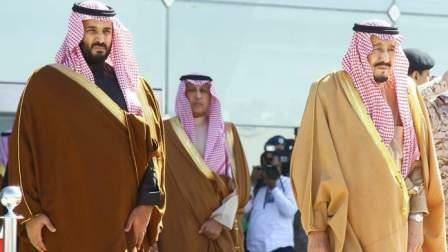 The move consolidates Crown Prince Mohammed's control of the Kingdom's security institutions, which had long been headed by separate powerful branches of the ruling family. Prince Mohammed already serves as defence minister and was named heir to the throne in a June reshuffle that sidelined his older cousin, Prince Mohammed bin Nayef who had also served as interior minister. He has been responsible at the same time for running Saudi Arabia's war in Yemen, dictating an energy policy with global implications and behind the plans for the Kingdom to build a future after oil. The country's new economy minister, Tuwaijri, is a former Saudi air force pilot and former chief executive of HSBC's Middle East operations who has led the economy ministry's program to privatize some $200 billion of government assets. He replaces Fakieh, who served as the point man for the Kingdom's wide-ranging economic reforms since his appointment as economy and planning minister in 2015. Fakieh faced down fierce opposition from the business community as labour minister when he established quotas for foreign workers to boost jobs for Saudis. Under Prince Mohammed, Fakieh led the development of a national transformation plan and privatisation drive launched last year to end the kingdom's vulnerability to an unpredictable oil market. His replacement comes as the Kingdom makes adjustments to that plan.